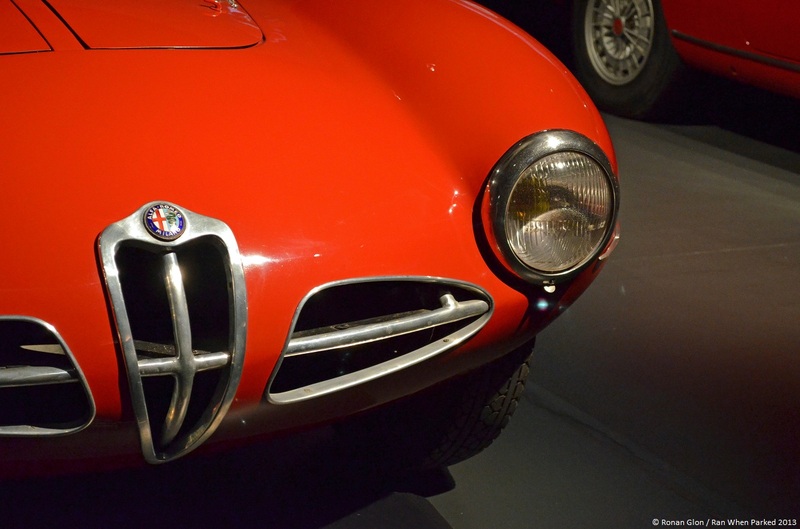 Ran When Parked had the opportunity to quickly tour Italy’s National Automobile Museum earlier this month. 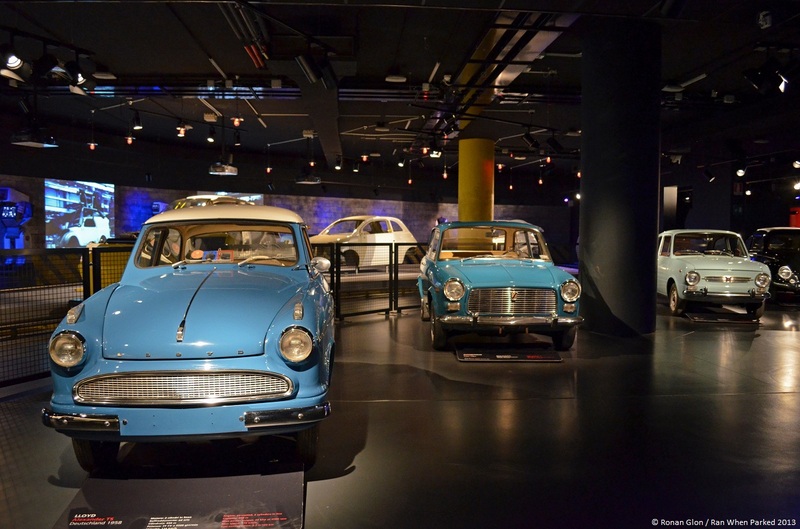 Entirely redesigned two years ago, the museum is located on the south side of Turin, just a few minutes’ walk away from Fiat’s historic Lingotto factory. The museum covers 38,750 square feet (about 3,600 square meters) and it is split up into 21 rooms. The cars are organized by the year the were built in so the first few rooms are loaded with pre-war vehicles. Cars from all around the world are on display, including a 1904 Oldsmobile Curved Dash, a Darracq 9.5 HP built in 1902 and a 1903 De Dion-Bouton 8 HP. Several hundred-year old Fiats are also showcased. One of the highlights of the following room is an Itala 35/45 hp Pechino-Parigi. Built in 1907, it was driven to victory in the grueling Beijing-to-Paris race that was sponsored by Paris-based newspaper Le Matin. With Prince Scipione Borghese at the wheel, the Itala arrived in Paris twenty days ahead of the car that got second place. It was powered by a four-cylinder engine with a displacement of 7.4 liters and it had a top speed of 95 km/h (roughly 60 mph). The cars get newer and newer as you walk through the museum and the displays are sometimes surprising – in one of the rooms, a 1936 Mercedes-Benz 500 K shares the floor with a 1932 Austin Seven and a 1937 Packard Super Eight 1501 registered in Wyoming. An experimental 1954 Fiat Turbina powered by a 300-horsepower gas turbine that can spin at up to 22,000 rpms is in the following room. The museum is home to an eclectic selection of post-WWII cars including a 1966 NSU Ro80, a 1980 Ferrari 308 GTB, a 1972 Iso Rivolta Lele F, a 1973 Syrena L 105 imported from Poland and, of course, the quintessential Fiat 500. At the end of the museum is an odd display that shows the Fiat Ecobasic and the Fiat Downtown, two concept cars that are 10- and 20-years old, respectively. These so-called green concept cars are parked across from half a dozen junked 1990s econoboxes painted entirely black. 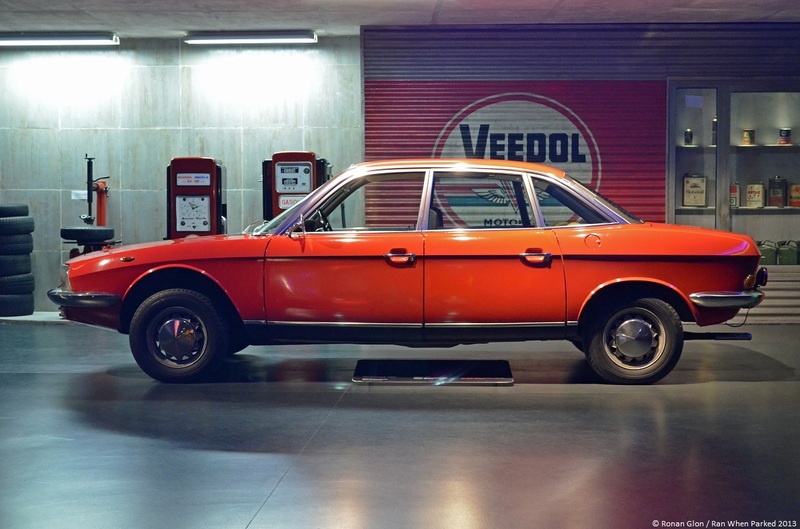 The outdated prototypes are billed as a call for cleaner cars and we don’t quite understand what they are doing in the same building as some of the finest automobiles built over the last century. Go down a floor and a room full of engines leads into a long hallway that showcases 20 race cars that range from a 1907 Fiat F2 130 HP to a recent Ferrari Formula 1 car. Some of the highlights include a 1951 Alfa Romeo 159, a 1929 Bugatti 35 B and a 1954 Mercedes-Benz W196. On the first floor is a room that showcases iconic Italian cars, including a rare Touring-bodied 1952 Alfa Romeo Disco Volante, a convertible Lancia Flaminia built in 1960 by Pininfarina for the Italian president and a bespoke 1964 Abarth 2400 Coupe with a body crafted by Allemano. The museum is well worth a visit. However, plan ahead as it closes early on some days and bring a tripod if you want to take pictures because most of the displays are quite dark. Last but not least, the cars are swapped around on a fairly regular basis so you might not see the exact ones pictured below. I guess the incentive wasn’t enough. She passed away a bit more than a year later. Sad story, sorry to hear it. I don’t think that is a U.S.-spec 2CV, the U.S.-bound models had absolutely huge headlights, much bigger than those. Fiat 500s got the same treatment, it was borderline ridiculous. Yah, you’re right. A closer look reveals the chrome snap tabs on the top of the buckets. We most certainly didn’t officially get that. About the Beijing to Paris raid, the Itala in fact did not ‘win’, because it wasn’t meant as a race. It’s a general misunderstanding that the raid would be a race. Le Matin set up the expedition to prove what cars were capable of. Many people in those days believed that automobiles were nothing more than expensive toys from the rich; noisy, stinking and less reliable than horses and carriage.